Despite being pocket-sized, the 3DS does hold some secrets. The 3DS can do things you might not realize are possible! 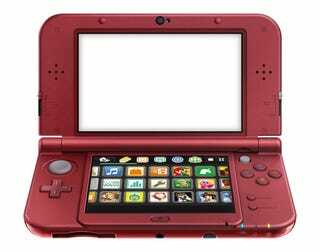 Some of these 3DS features are meant to make your experience better; they can be very helpful. And some 3DS tricks are merely for fun. Here are our picks for cool and obscure 3DS features you should be using. Whenever you boot up a Virtual Console game on the 3DS, it blows up to fit the screen—and this can make the graphics look kind of ugly. Thankfully, you can simply press and hold “Start” while opening a Virtual Console game to make it appear in its native resolution. For Game Boy games, the 3DS even adds a cute overlay to your screen. EDIT: this trick also works for DS games. Here’s a little tip for the 3DS home screen. If you tap on a game once and then blow into the microphone, you’ll note that the splash screen on the top of the 3DS will react to you. A small but charming detail. While some games have a screenshot function built-in, many do not. You can still take a screenshot, though. All you have to do is press the “home” button on your 3DS, then open up Miiverse. You’ll be taken to the community of whatever game you had running. On the bottom screen, you should see a button that reads “Post.” Tap that, and then on the next screen you can attach a screenshot of whatever you were last looking at in your suspended game. After you post your screenshot on Miiverse, you can log into Miiverse via a computer and save the screenshot if you’d like. Yes, this isn’t the most intuitive screenshot tool, but it is something. Do note that this feature doesn’t actually work with every single game on the 3DS, so your mileage may vary. If you do it correctly, the text changes to read “Stage Select.” Pick your favorite browser, and voila. Breakout, but with the browser’s logo. This one isn’t a secret, but it bears repeating. One of the biggest delights of the 3DS is the built-in ability to communicate with other 3DS’s without actually doing anything. Depending on the games you’re currently playing, you can enjoy special bonuses every time you come into contact with other players. Monster Hunter 4 Ultimate for example grants you special supplies and items whenever you come across other hunters in real life. Pretty neat! So, why not turn Streetpass on for whatever games you’re playing currently/bring your 3DS with you everywhere? Alternatively, you can use Streetpass to play the 3DS’s native Streetpass games. For this, I direct you to Stephen Totilo’s handy guide on Streetpassing like a champ. I mentioned this earlier, but you can access Miiverse from your computer. You’ll need to set-up your account on your 3DS to allow Miiverse access on devices other than your 3DS, but it’ll be worth it. PC access to Miiverse makes things like sharing screenshots way easier. Just make sure to log in on your PC, because a lot of the amusing posts on Miiverse aren’t necessarily the most popular ones. Those of you that primarily buy digital games: remember, every game still has a manual. If you tap on a game on the home screen, the bottom screen of your 3DS should show you a “Manual” button. Nintendo games have especially cool-looking manuals you should check out. While the Friend Code System is a drag, it’s nice that you can just suspend your game, open up your Friend List, and add people right in the middle of playing something. No need to exit the game completely. If you’re upgrading 3DSes, you might want to read about how to transfer your information over. You might also want to keep a screwdriver ready. After purchasing a game, the system should ask you if you want to download something immediately, or if you want to download it in sleep mode. I’m a big fan of the latter option—I can let my 3DS download games overnight without having to worry about it. Be gentle with your Circle Pad. Some newer games, like Smash Bros., make it very easy to push the Circle Pad to its limit. Many people have ended up breaking their 3DSes playing newer games. I learned this the hard way. You can customize the look of your home screen. If you tap and hold a game’s icon, for example, the system lets you move it wherever you’d like, just like the iPhone does. You can now also purchase themes for your 3DS, many of which are based on your favorite games. And finally, if you want to reduce clutter, tap on an empty icon on the home screen. The 3DS should give you the option to create a folder, in which you can dump whatever you’d like. Helpfully, you can also rename the folder. Be creative! Do you have any tips and tricks for 3DS owners? Be sure to share them in the comments.